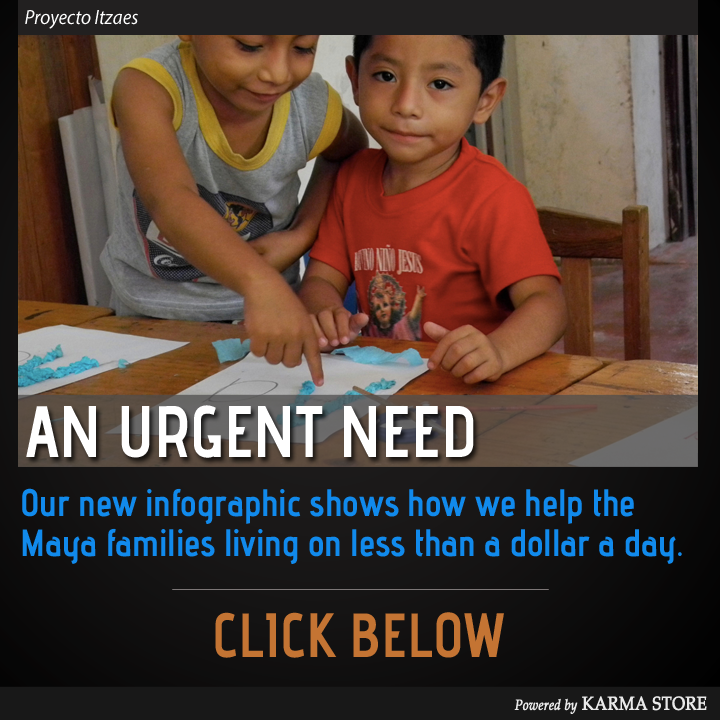 Karma Store | We are a startup in the nonprofit industry. Follow us and help us make the world a better place. We are a startup in the nonprofit industry. Follow us and help us make the world a better place. Art is a powerful tool. It allows anyone to express themselves, free from the constrictions of right and wrong. For children, art can have a tremendous impact, often helping them find their voice and communicate their feelings. It helps foster creativity, imagination and critical thinking, tools that are fundamental to success in today’s world. And unlike other activities, such as music or athletics, art requires few resources, allowing anyone to participate, no matter what their background or income-level may be. Yet despite this clear understanding of the power and benefits of art, Art Education seems to have been pushed aside in many school curriculums. Currently, only 11% of public schools in California are actually meeting the state’s goals for arts instruction. Constant budget cuts have forced many schools to reduce or eliminate art education entirely, leaving many children with little to no access to a proper arts program. Our latest partner, Good Tidings Foundation, is working to change this trend and bring the arts back into these children’s lives. They provide free arts education to over 600 underserved 4th-8th graders each month whose schools no longer support it. Good Tidings works directly with the local schools to cover all the costs, including transportation, art supplies and high-level instruction. 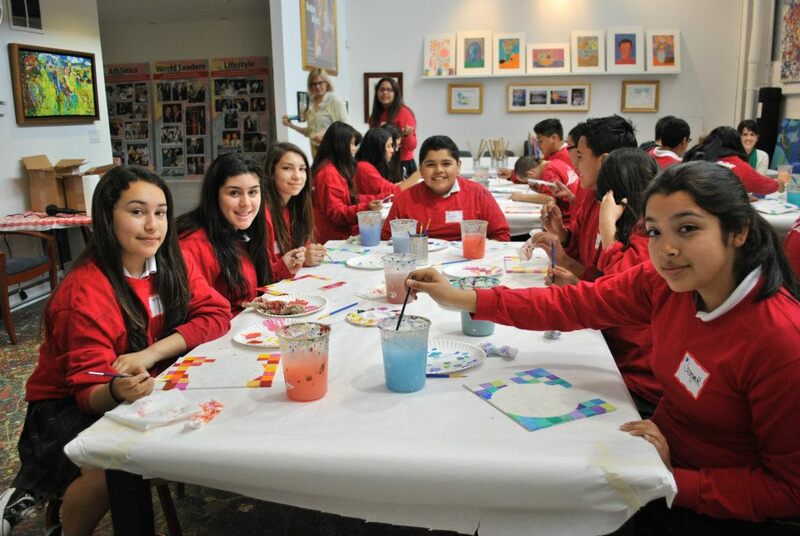 Their field trips integrate the student’s school curriculum with visual art projects, allowing the students to think about topics such as history and science, from a different perspective. This level of immersive arts education results in a higher-level of comprehensive learning, while providing an effective outlet for their creativity. Check out Good Tidings Foundation’s Impact Page to learn more and please show your support by sharing their work with your friends! Good Tidings is also looking for more participants in their 2013 Stadium Stampede. This annual fundraising event, held on Saturday, April 27th, is your only chance to experience a full ballpark climb at the famous AT&T Park, home of the San Francisco Giants! Participants of all ages can join 3x Olympic Gold Medalist Kerri Walsh Jennings and walk, jog or run two laps of the stadium’s lower-level stairs, flat concourse or the full ballpark. All the money raised from this event goes to directly support the great work of Good Tidings Foundation as they continue to help Bay Area’s underserved youth. Meet Rajesh. He’s cute, isn’t he? 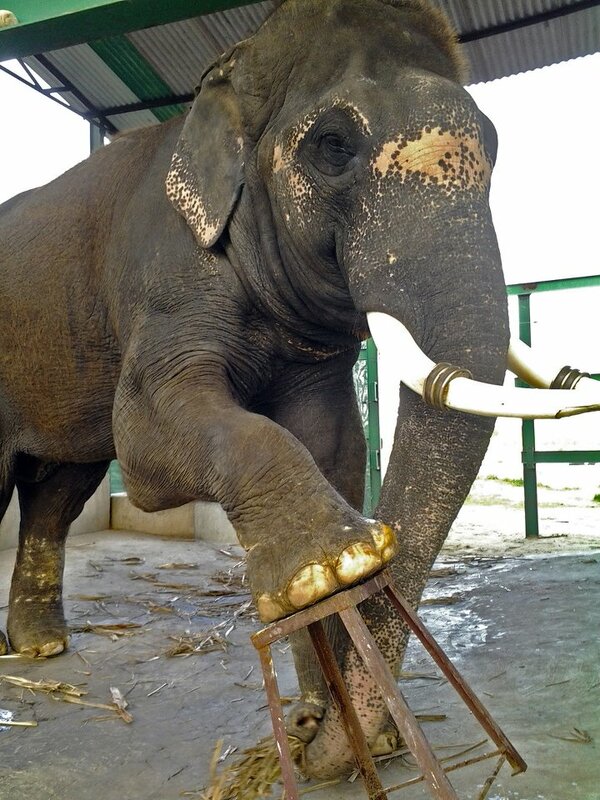 This is him as he gets ready for his foot treatment at an elephant rehabilitation center. Rajesh is a particularly lucky elephant because he still has his tusks, which were not cut off and sold by his previous owners. Rajesh is a rescued elephant, who was once held captive and abused for entertainment purposes. In India, it is very common for elephants and other wild animals to be forced into performing for tourists, where they are mistreated and tortured behind the scenes. Unfortunately, this type of business is an incredibly lucrative one; illegal wildlife trafficking and trading generates around $10 billion a year. Elephants, bears, leopards and many other beautiful animals are captured and exploited for businesses such as logging, performance shows and even street-begging. These animals live a life of torment, often underfed and over-worked, purely to make their owners as much money as they can. Fortunately, there are groups working to put an end to these cruel practices. Our newest partner, Wildlife SOS, has been working for 18 years to find, rescue and rehabilitate animals that have only known abuse and mistreatment for most of their lives. And they have achieved significant success, saving hundreds of animals and opening 7 animal rescue centers throughout India. But there is still a lot of work to be done. 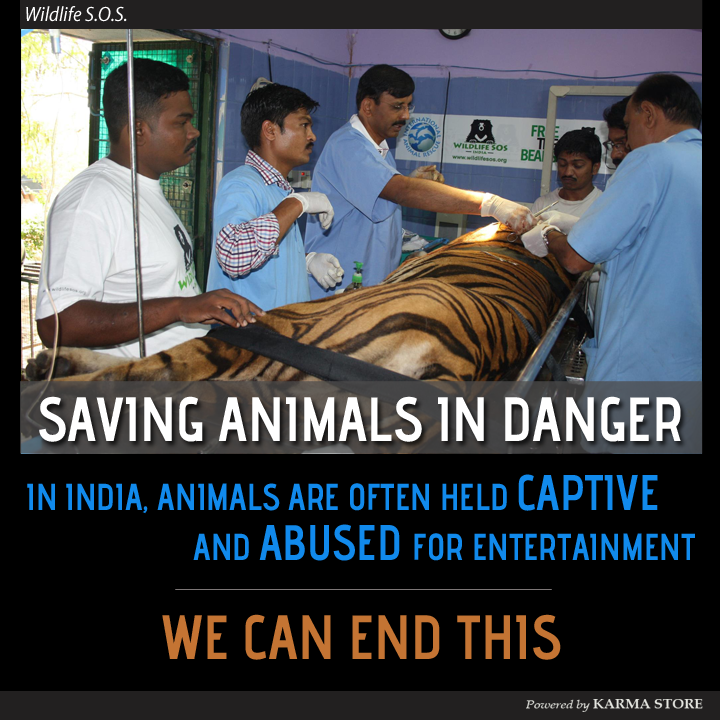 You can learn more about their work by checking out the Wildlife SOS Impact Page. Please show your support by sharing their work on Facebook, Twitter, Pinterest, etc. This post is the third in a series where we will be profiling the work of Village Enterprise and more specifically, following one of their team members, Whitney, as she travels to Africa and walks us through their amazing work. 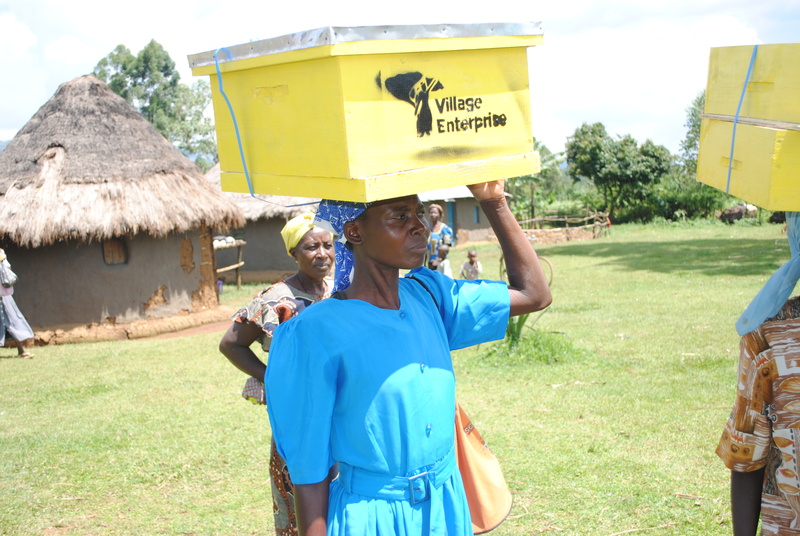 Village Enterprise is an organization working to eradicate extreme poverty in East Africa through their innovative program that equips people with the skills and resources to establish their own small business. Whitney is the Marketing & Development intern, who will be spending the next month traveling around Uganda and taking us through the Village Enterprise program. Be sure to check out the first post and second post in our series. Whitney finished the Vision Trip earlier this week and if you have been following along at the Village Enterprise Impact Page, you probably have seen all the amazing stuff she and her team are up to. For those who haven’t been keeping up to date, here is a quick re-cap: Whitney arrived in Uganda two weeks ago and has been leading a group of donors on a Vision Trip. This trip takes the group through the entire Village Enterprise business creation program, from identifying groups in need to business training and mentoring and even visiting some of the successful businesses created through the program. 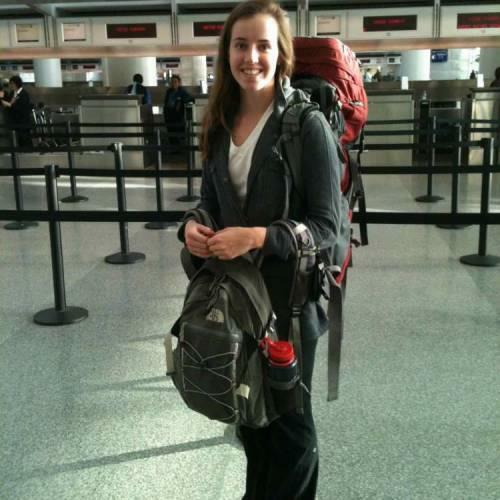 Here is Whitney at the SFO airport getting ready for her first trip to Africa. We especially love this photo because it actually is the first official photo update uploaded with the Karma Store Camera App! Business mentor Doreen at Mukura Madoch Village. She did one-on-one mentoring with each group, checked their books, and gave them a stamp! The one-on-one mentoring is a critical part of the program as it equips the entrepreneurs with business knowledge and skills that can be applied to future endeavors and passed down to others. Business owners from near and far gathered to show off their livestock! 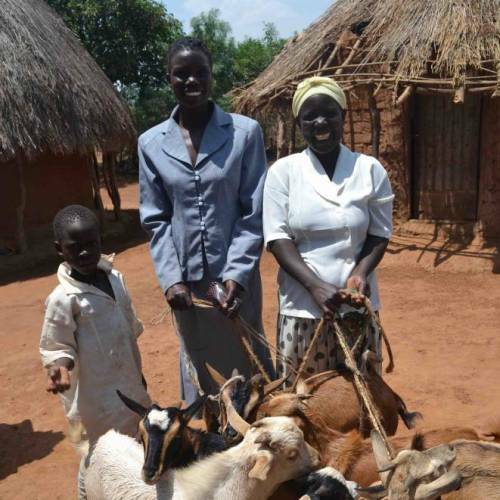 These women received their grant over one year ago! A true testament to the success of the Village Enterprise program! Today I pumped a can full of water at a well we walked past during a field visit. The woman was able to rest for a moment and hold her baby. Those were only a few of our favorites. To see all of Whitney’s photos, check out the Village Enterprise Impact Page and be sure to show your support by sharing it with friends and family. This is the golden question for every charity, regardless of size, funding, and resources. Every charity wants to know and understand the answer to this question. The question comes in many forms. How do you get donors to donate once, or twice, or continually? How do you get people to volunteer with your organization? How do you get supporters to help your cause? The reason I bring up this billion-dollar question is because I recently came across a fantastic TED Talk that addresses this very problem. In this talk, Simon Sinek explores how we communicate and more importantly, uncovers how successful leaders inspire action. It all comes down to messaging, explaining the why, rather than the what or how. If the video doesn’t work, you can check it out here. You may have noticed that Simon repeats this mantra throughout the video. Inspiring people to take action essentially comes down to translating your passion and beliefs to others. Showing the why versus the what is the key. Room to Read is a great example of an organization that inspires action by showing their beliefs (the why): World Change Starts with Educated Children. This simple and concise tag line explains exactly why I should support their work. Three things immediately stand out with this tagline: World Change, Educated, and Children. These are all concepts I strongly belive in and as a result, I am drawn into learning more. With only six words, they have inspired me to care about their work. Most importantly, this tagline is at the heart of all their communications; they have made sure this is the first thing you see when you come across any of their work. It inspires people because it explains the why behind everything they do. Village Enterprise Series (2 of 4): The Journey Begins! This post is the second in a series where we will be profiling the work of Village Enterprise and more specifically, following one of their team members, Whitney, as she travels to Africa and walks us through their amazing work. You can check out the first post here. The real journey begins today! Whitney is arriving in Uganda this afternoon and will spend the next day getting settled and meeting the team working on the ground. On Saturday, she will begin the Vision Trip, which has her leading a group of donors through the entire business creation program. The group will attend several meetings, training classes and business mentoring sessions, as well as visit some of the local businesses that were established through the program. Whitney will be capturing this two-week tour via the Village Enterprise Impact Page, giving you a complete look into the entire process. We are also excited to announce that Village Enterprise launched their Impact Page this morning. This Impact Page gives you an in-depth look into Village Enterprise and their unique approach to ending extreme poverty. Whitney has already taken her first photo of her trip (which also happens to be the first official photo uploaded using our Camera App). This is only the first of many, as she documents her work and travels through Uganda. Be sure to continue checking the Village Enterprise Impact Page for those updates. Please show your support for this amazing organization by sharing their Impact Page with your friends. Today is an exciting day for us here at Karma Store! We are very proud to announce our newest partnership with Village Enterprise, an awesome organization helping people in East Africa lift themselves out of extreme poverty. 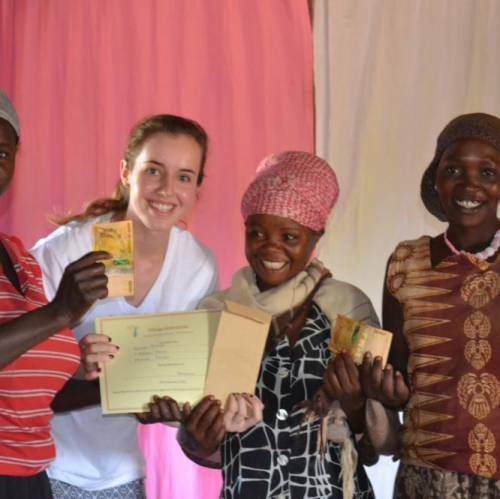 This partnership comes at a very special time for Village Enterprise as their Marketing & Development intern, Whitney, takes her first trip to East Africa to assist the development and operations teams in the field. Over the next few weeks, we will be posting a series of articles focusing on Whitney’s trip to Uganda and her work on the ground. We want to give you an in-depth look into how Village Enterprise is creating long-lasting solutions to some of the poorest regions in the world. 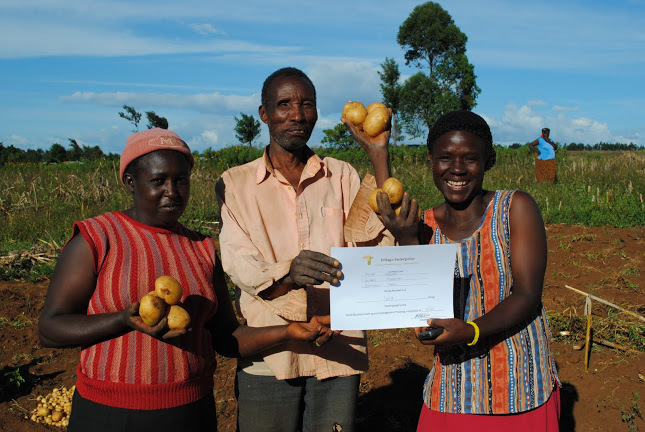 Village Enterprise is taking a unique approach at eradicating extreme poverty by equipping individuals and communities with the knowledge and resources to create sustainable businesses. 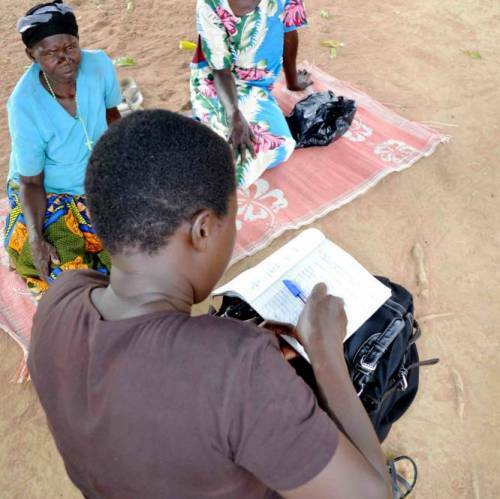 Their core program focuses on identifying the poorest individuals in the local village and working directly with this group to educate, train and prepare them to start and maintain their own small business. These businesses range from agriculture, to retail, to craftsmanship, but all of them are developed by the participants and are structured to have a long-lasting impact on the community. Aside from the actual businesses being created, the most valuable assets Village Enterprise provides are the education and skill-sets involved with managing a successful business. This knowledge can be applied to future endeavors, as well as passed down to other community members, helping future generations break out of the cycle of poverty. 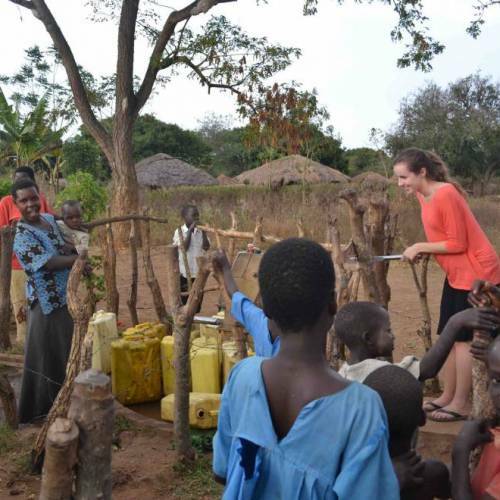 Our Village Enterprise article series will help you understand the full impact of this innovative program, presented by Whitney as she travels to Uganda and works with the team in the field. She will be walking us through each step of the Village Enterprise core-program, giving you an in-depth look at the participatory wealth ranking, the business training meetings, the one-on-one mentoring and much more. To document her travels, Whitney will be using the Karma Store Camera App (which we just launched for Android) to update the Village Enterprise Impact Page. This is only the first in a series of posts we will be doing as we follow Whitney and her work in Africa. We will be covering the highlights of her trip, but if you want to follow the full story, be sure to check out their Impact Page launching later this week. You can learn more about Village Enterprise and their awesome work via their website, Facebook and blog. Can you imagine working tirelessly from dawn until dusk, but at the end of the day, not even bringing home minimum wage? And can you imagine how horrible it would be if minimum wage was $4.65 a day? 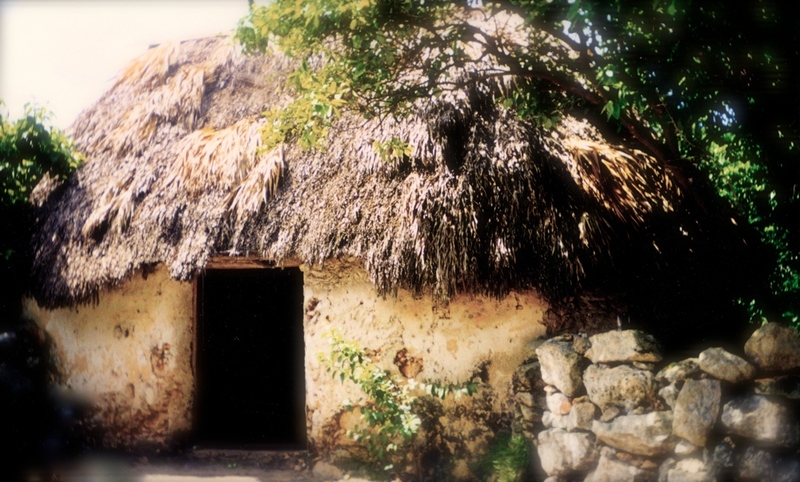 Well that is the life of many families, seemingly forgotten in the Yucatán Peninsula of Mexico. As the world has evolved and “progressed”, the descendants of the Maya have been left behind, many not even making $1 per day. These poor families are stuck in a vicious cycle of poverty, where they sometimes don’t even have enough money for food, let alone a proper education for their children. But something can be done, and you can help. Our latest infographic highlights the great work that Proyecto Itzaes has been doing in this region since 1995. 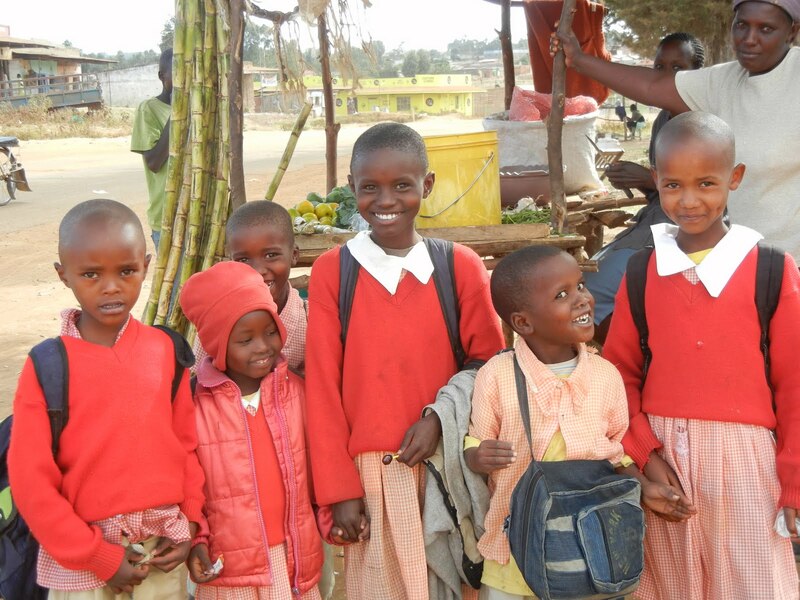 Started by Stanford Educator, Cindy Wilber, this organization has impacted thousands of lives by providing children with books so they can learn to read, computers so parents can progress their careers, and direct aid for communities in desperate need of help. Click here to learn more about Proyecto Itzaes and support their work today. Please help us spread the word by posting this update on facebook, twitter, pinterest and everywhere else!